Google released its monthly software update for various Google devices. The latest software update comes with February 2019 Security Patch. Google Pixel 2 and Pixel 2 XL, both devices started to received the update. Since, its an OTA update, it will roll out gradually. 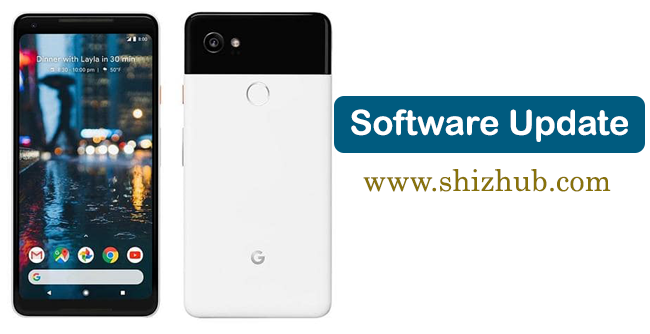 If you can't wait then keep reading this article to update your Pixel 2 / 2 XL to latest February 2019 Security Patch that running on Android 9.0 Pie. How to Check for PQ2A.190205.002 OTA February 2019 Update? To check and download the February 2019 OTA update for Pixel 2 / 2 XL devices follow the steps below. Below are the links for OTA and image files for Pixel 2 / 2 XL which comes with the February 2019 security software update. Step 6: Now we are ready to flash PQ2A.190205.002 factory image to respective device. For that double click on flash-all script that located on your adb folder. This script installs the necessary bootloader, baseband firmware(s), and operating system. Your Pixel 2 / 2 XL will reboot automatically and is now running on latest Google Android Security patch for February 2019 with build PQ2A.190205.002. That's it! You now learned both ways to update your Pixel 2 / 2 XL on latest Google Android Security patch for February 2019 with build PQ2A.190205.002.